Expand your Mac for cheap. All Macbook users know the pain of a paltry port situation. 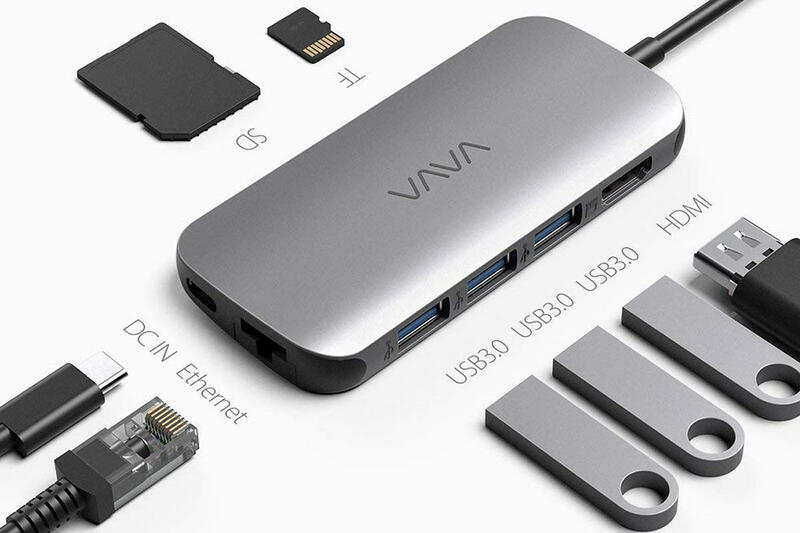 Today, you can fix your lacking I/O with a pretty slick deal: Amazon is selling the Vava USB-C Hub 8-in-1 adapter for just $45Remove non-product link, down from a list price of $60 and the lowest price we’ve seen. This hub comes with a whole lineup of port types to suit all your peripheral and connection needs. There are three USB 3.0 ports, one Ethernet port, a 4K HDMI port, an SD card reader, a TF card reader, and a 65W Type-C PD charging port. Using these options, you’ll be able to do things like mirror your laptop screen to a TV in 4K, transfer content at up to 5Gbps, and much more. The icing on the cake is this hub’s portability; its compact size (4x2x0.5 inches and 2.4 ounces) makes it easy to toss into a bag. We reviewed this adapter as part of our USB-C hub roundup, and while we didn’t pick it as the best, we liked its small size and tremendous capabilities.